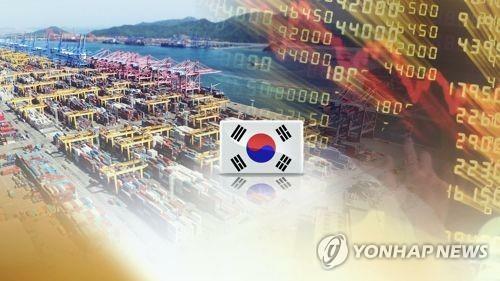 SEJONG, Sept. 20 (Yonhap) — South Korea’s economy is expected to grow at a slower than expected pace this year, a Paris-based international organization said Thursday. In its interim economic outlook, the Organization for Economic Cooperation and Development (OECD) expected Asia’s fourth-largest economy to grow 2.7 percent this year, lower than its previous estimate of 3 percent growth made in May. For next year, the OECD also slashed its growth outlook to 2.8 percent from the previous 3 percent. The OECD said the Korean economy will be able to grow fueled by solid domestic demand that can offset some of the fallout of the escalating trade war between the United States and China, its two biggest trading partners. The organization’s final estimate will be released in November. The OECD’s downward revision on Korea’s growth comes after investment banks such as UBS, Nomura and Goldman Sachs recently lowered their own growth outlook for Asia’s fourth-biggest economy. UBS and Nomura cut their outlook to 2.9 percent and 2.8 percent, respectively, from 3 percent, with Goldman Sachs adjusted down its figure to 2.7 percent from 2.9 percent. Their downward revisions reflect companies’ decreasing investments in facilities in the past five months through July and sluggish domestic consumption, economists said. As the country’s potential growth rate is expected to be on the decline in the mid and long term, the government needs to ease regulations to encourage businesses to make more investments, they said. In July, the Korean government already trimmed its growth target to 2.9 percent for the year from its earlier projection of 3 percent, and sharply scaled back its job creation target to 180,000 from its earlier estimate of 320,000. Last year, the economy expanded 3.1 percent. The ministry’s latest growth revision is on par with the Bank of Korea’s growth forecast. The central bank had shed its growth estimate to 2.9 percent from its earlier 3 percent projection.